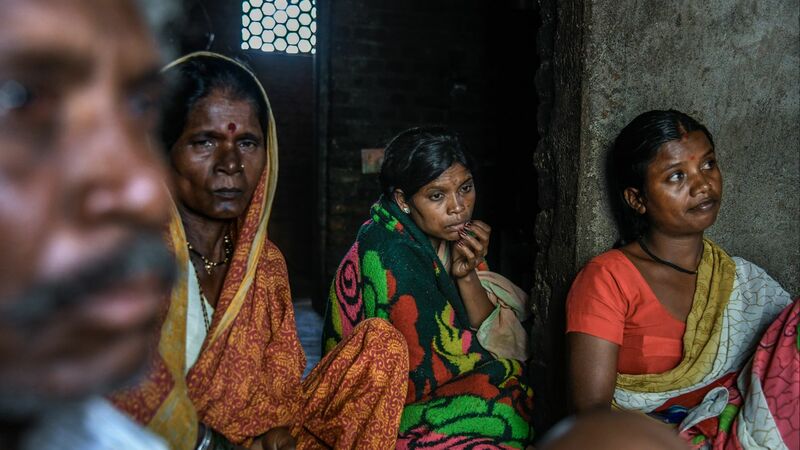 In 2017, hundreds of cotton farmers were poisoned – and over 20 died – in just a few weeks in the central Indian district of Yavatmal. The culprit? Cocktails of highly hazardous pesticides, including an insecticide going by the name of Polo. Syngenta exports this insecticide from Switzerland, where it has long been banned. How did this scandal come about? And what responsibility does Syngenta bear? 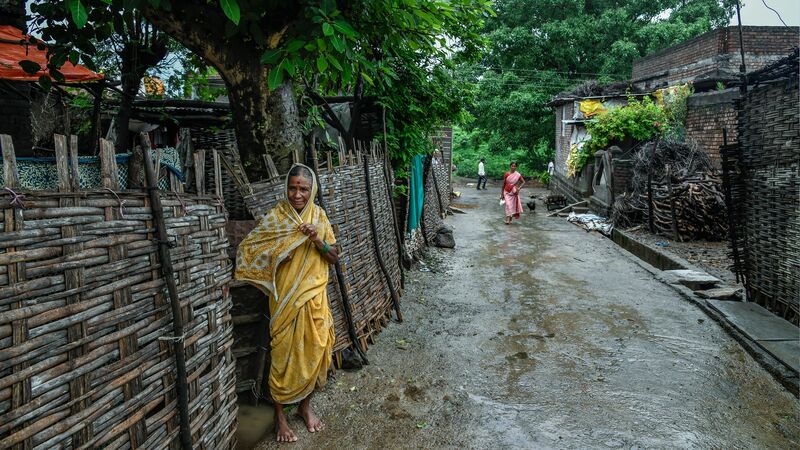 We went hunting for answers in the villages around Yavatmal. The 42-year-old father of two had inhaled so much poison, while spraying pesticides in a cotton field, that he could not be saved. Among these products was Polo, an insecticide sold by Syngenta. 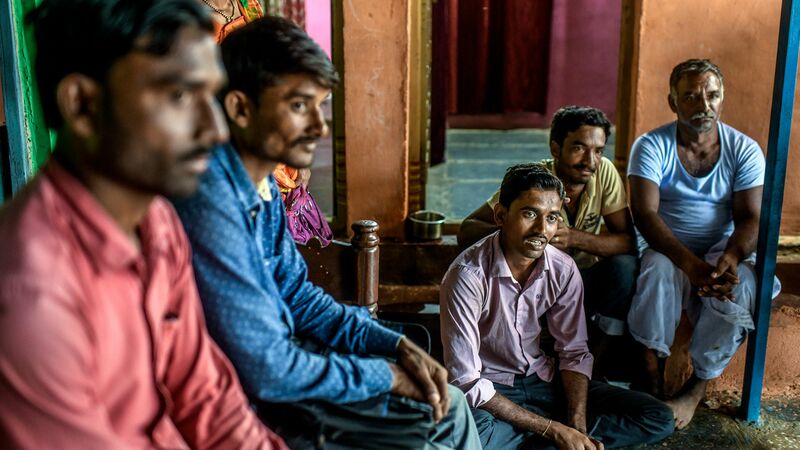 Geeta’s brother rented a car to bring her husband’s body back to their village. 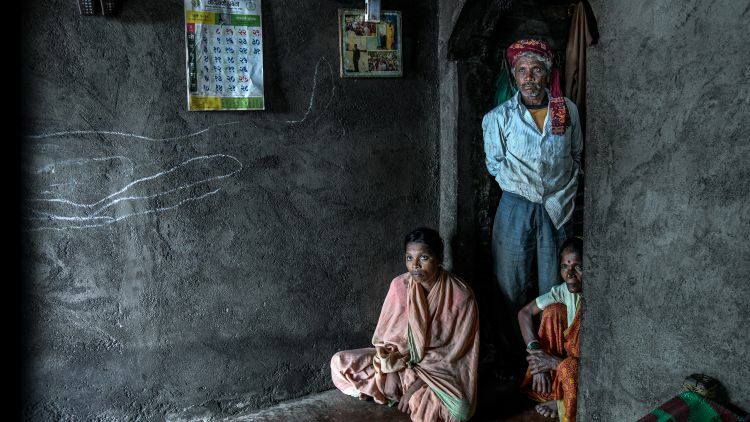 Geeta, Puga, and Saurabh Sonule – since Bandu died, his widow and orphans have struggled to meet their needs. 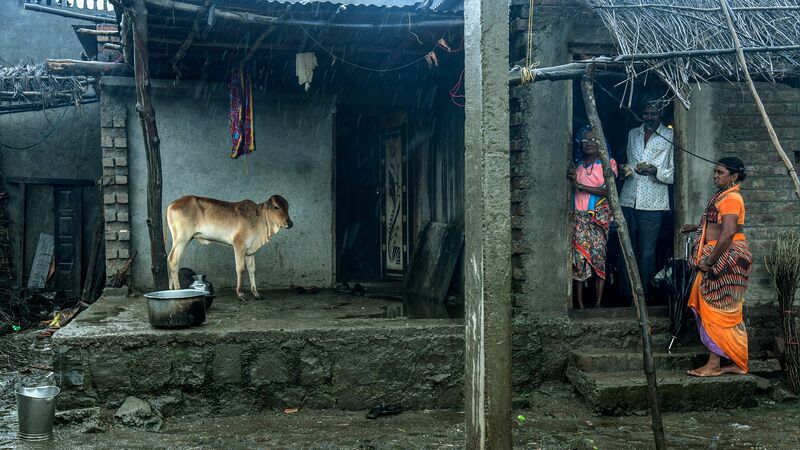 The widow received compensation from the government, but doesn’t know how she’ll provide for her family without the help of her husband, who earned about four Swiss francs a day working as a sprayer. She also works in the cotton fields, using a sickle to remove weeds whenever it isn’t constantly raining – as it has done in recent days – but she only earns 1.5 Swiss francs a day. 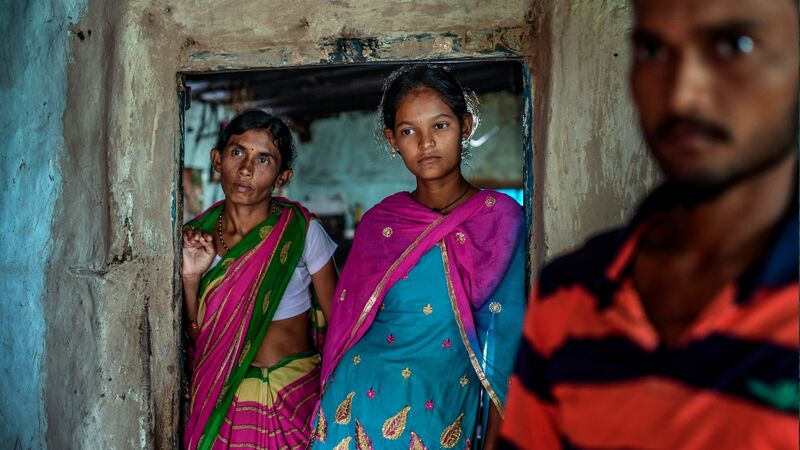 Since their father died, 16-year-old Puga and her brother Saurabh, three years her elder, have been working in the fields– weeding, sowing or carrying fertilizer. 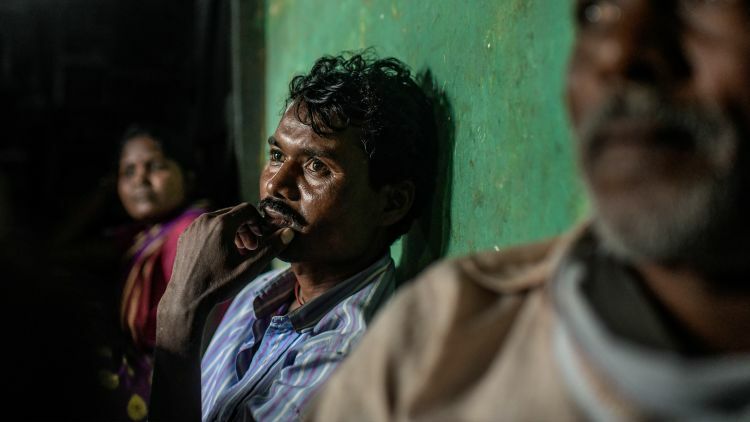 Bandu Sonule is one of over 50 men who were fatally poisoned between July and October 2017 in Vidarbha, a region in the eastern part of Maharashtra State. 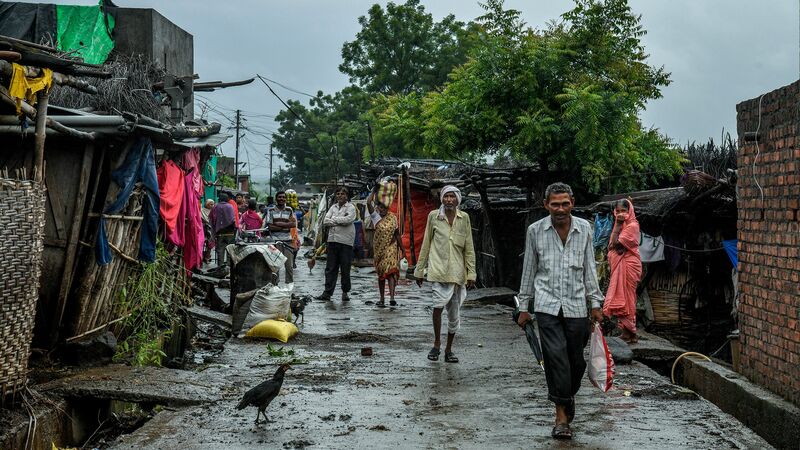 Over 20 people died in one single district of Vidarbha region – Yavatmal. 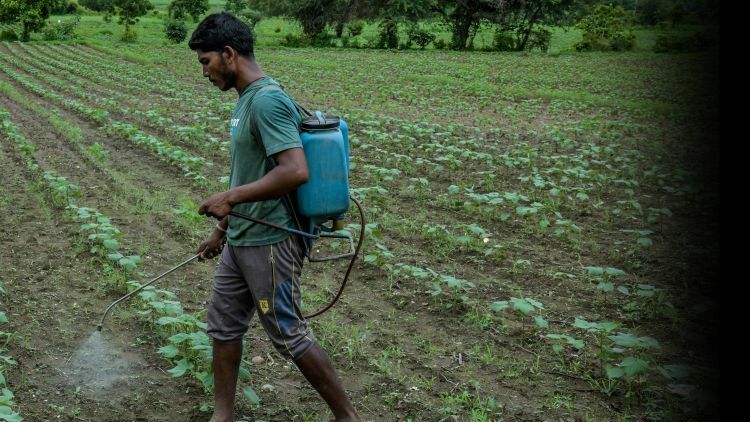 Altogether, 800 farmers or agricultural workers were admitted to hospital in Yavatmal having suffered acute poisoning after spraying pesticides. Several hundred of them went temporarily blind. As the capital of the Berar Sultanate, Yavatmal in central India was referred to in ancient scriptures as “the safest place in the world”. But that was over 500 years ago. 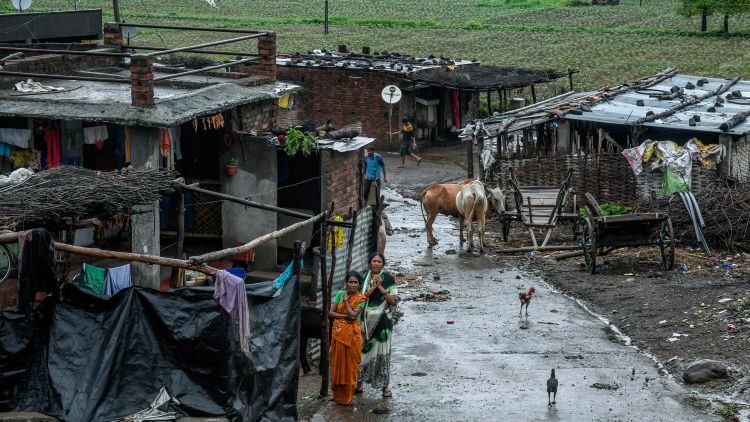 Today, this city – located in the cotton belt of Maharashtra state – is primarily known as the place with the highest per capita suicide rate among Indian farmers and agricultural workers. According to official statistics, in India a farmer commits suicide every 30 minutes, most of them by swallowing pesticides. 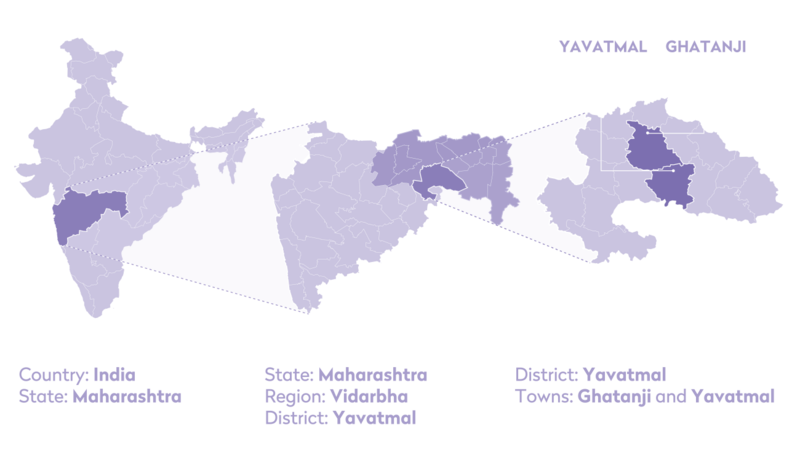 In the district of Yavatmal alone, there were over 3500 suicides from the beginning of 2001 to mid-2016. 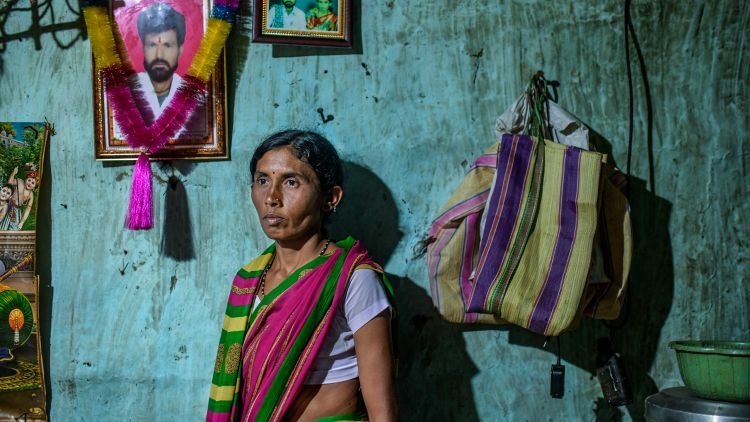 The author Kota Neelima describes the phenomenon in her book Widows of Vidarbha, which tells the stories of 16 women whose husbands took their own lives. Each one of them has her own story. Yet, when reading the book, the similarities become ever clearer: the complete dependence on the weather due to the lack of irrigation systems; on the right level of rainfall at the right time; and on the absence of pests. 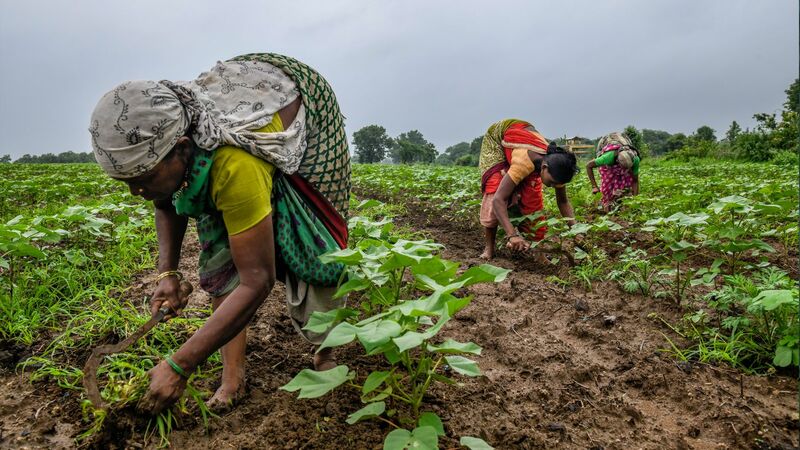 Then there is the dependence on genetically modified BT-Cotton seeds, which are up to four times more expensive, as well as the other expensive products – fertiliser, herbicides, plant growth regulators – that the seeds require to thrive. 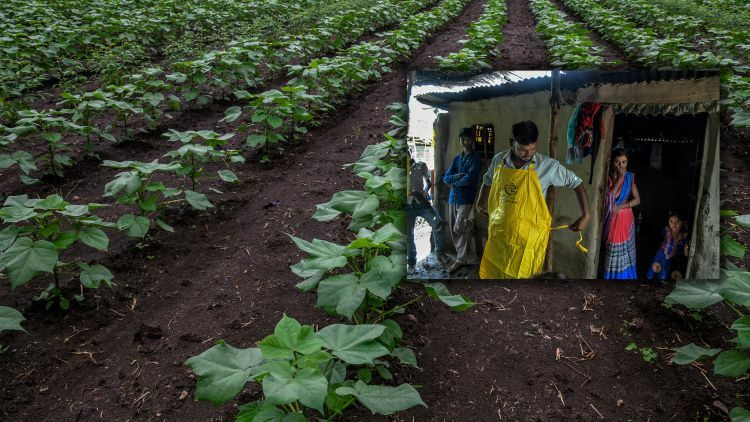 The promise that these cotton seeds are pest-resistant has proven to be empty; every year, the attacks worsen as the pests become increasingly resistant. In turn, these chemicals are applied more and more excessively, which results in a constant spiral of debt. Farming families become increasingly indebted and resort to loans at exorbitant interest rates from often unscrupulous lenders when banks are no longer lending. 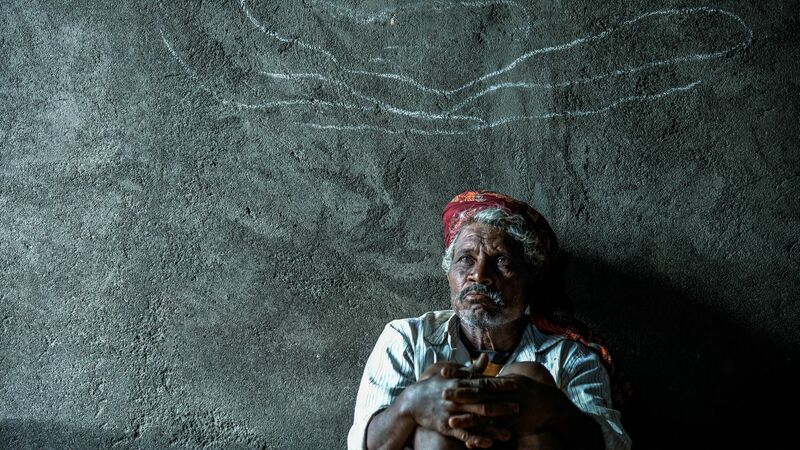 Farmer suicides have long stopped being headline news in the Indian media. On 14th July 2018, the latest figures – 639 suicides between March and May in the state of Maharashtra alone – were relegated to a one-column report on page five of the Hindustan Times. Until last year, the fact that farmers and agricultural workers had repeatedly suffered involuntary poisoning from spraying pesticides was barely a topic of discussion. 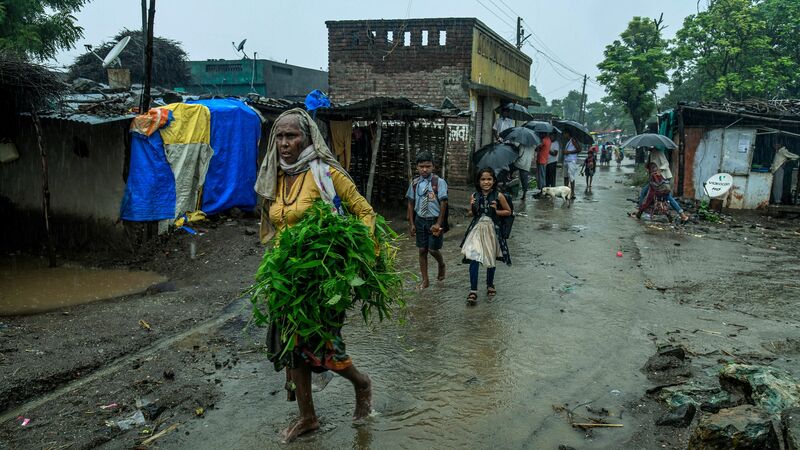 Only when the number of cases reached an unprecedented scale last Autumn did people outside Yavatmal start to ask what was going on there. 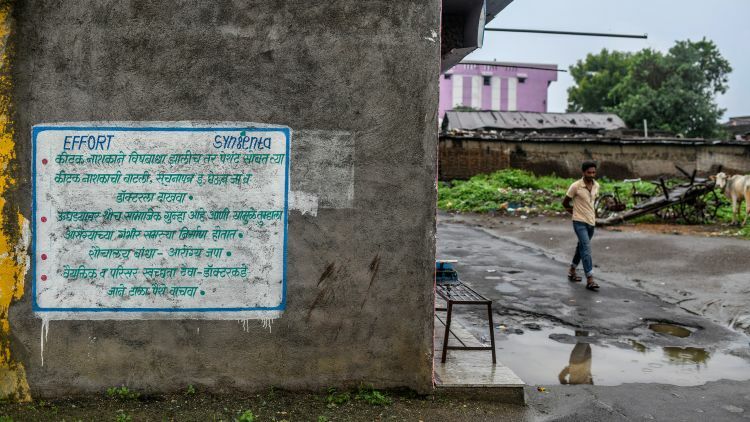 At the beginning of October, the Chief Minister of Maharashtra tasked a seven-person team of special investigators to look into the causes of the wave of poisonings. Their key finding was that cotton plants had grown significantly higher than in previous years – up to 1.8m. This was due to climate-related factors, but probably also to the excessive application of fertiliser. 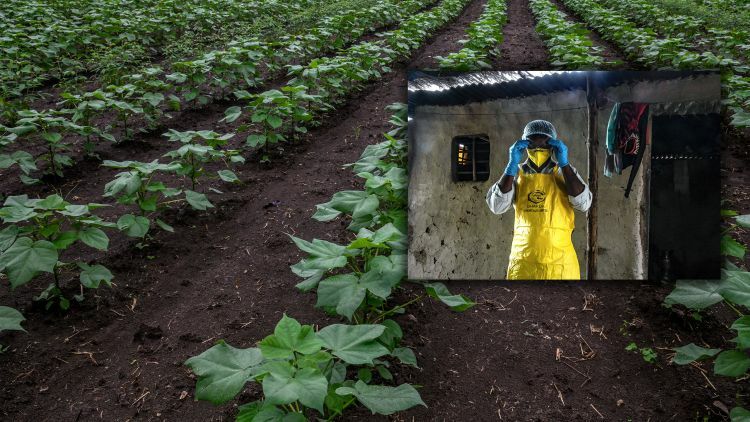 The cotton suffered attacks worse than the previous year from sap-feeding insects, for example white flies, cicadas, and especially the feared red bollworm, which meant that widespread application of pesticides was necessary. Spraying pesticides at head height had “increased the proportion of pesticides entering the body through inhalation”. The sprayers usually only had a cloth tied over their mouths, and worked without proper protective equipment. In addition, modern electric or diesel-powered pumps spray more pesticide than necessary, and the resulting fine droplets stay in the air for longer. Finally, the sprayers had mixed together different insecticides and plant-growth regulators, creating particularly poisonous cocktails, the effects of which could not be treated with specific medication. 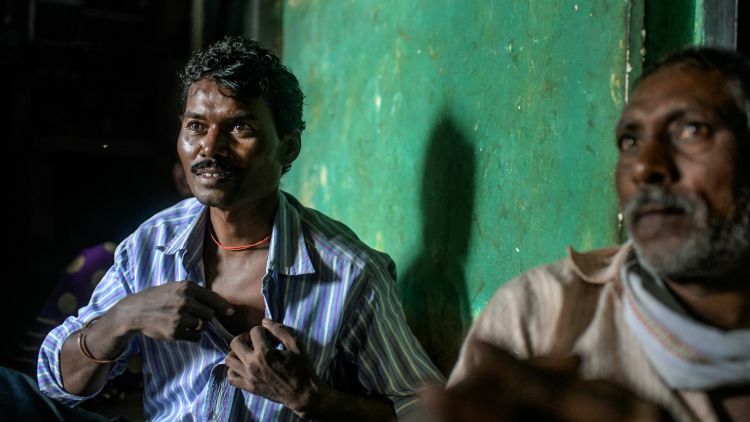 The question remains: which substance had poisoned the farmers? Could it have been prevented? Were they informed of the dangers of these pesticides? At the end of September, the first newspaper reports of deaths started appearing, and names of insecticides responsible for the wave of poisonings were quick to appear. 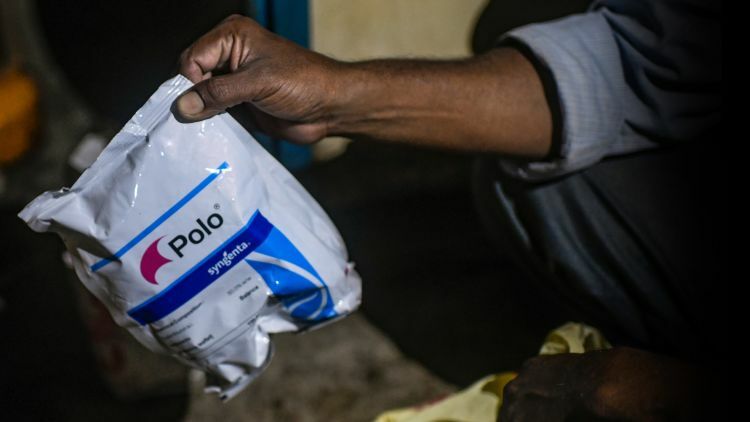 These were the Indian-manufactured Profex Super, Police and Monocil – the latter being an insecticide that contains the highly hazardous active ingredient monocrotophos – and Polo, an insecticide with the active ingredient diafenthiuron, produced by the Swiss company Syngenta. Diafenthiuron is a broad-spectrum insecticide that paralyses and then kills sap-feeding insects. In cotton fields, it’s primarily used to combat whiteflies. This is one of 40 Syngenta pesticides that the Pesticide Action Network (PAN) classifies as “highly hazardous”. The insecticide, commercialised in 1991, was banned in the European Union in 2002, and subsequently in Switzerland in 2009. According to the European Chemicals Agency (ECHA), diafenthiuron is “toxic if inhaled” and can “cause damage to organs through prolonged or repeated exposure”. The difference between diafenthiuron – and most other highly hazardous Syngenta pesticides – is that, unusually, the substance is produced in Switzerland, at the production site of the agrochemical giant in Monthey in the canton of Valais. Despite months of resistance from Syngenta, through a freedom of information request Public Eye obtained figures showing that in 2017, the company exported over 126 tonnes of the substance from Switzerland: 75 tonnes were exported to India, 50 tonnes to South Africa, and 1.5 tonnes to Colombia. Whilst other banned pesticides are exported from Switzerland, diafenthiuron is the only substance for which the volumes are high. After the wave of poisonings, the state swiftly took an interest in Syngenta. 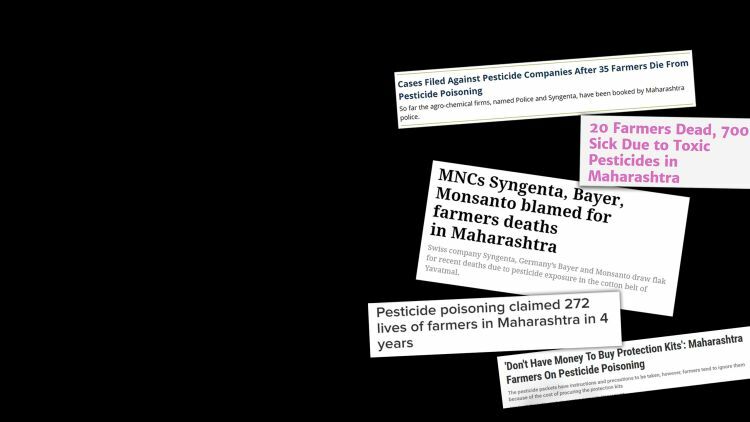 In October 2017, the Agriculture Minister for Maharashtra state announced that investigations had been launched into Syngenta in relation to the pesticide Polo – the allegations were of “culpable homicide”. It’s still not known whether the investigation ever took place or what became of the case. 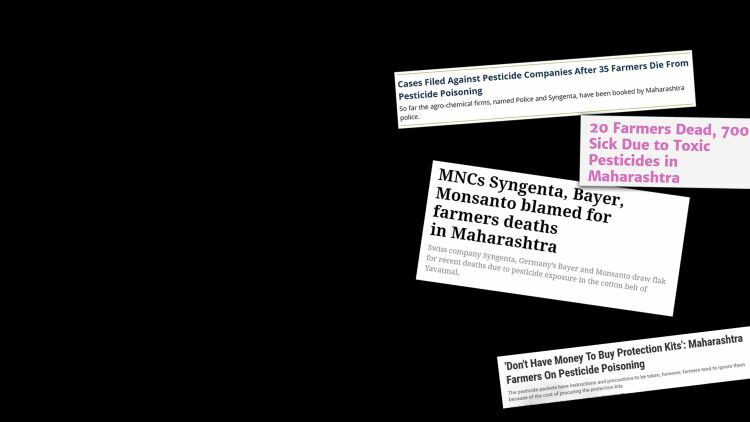 Also in October, Syngenta issued a statement to the Indian media noting its “deep concern” about the poisonings, while at the same time making it very clear that its insecticide was not to blame. According to Syngenta India, Polo had been successfully used by farmers across the country for the last 14 years without any reported incidents of fatal casualties. “This reflects that there may have been other reasons that led to these unfortunate incidents”, e.g. the unusual height of the plants, but also negligence on the part of the farmers in failing to protect themselves, as well as in mixing different pesticides. The government of Maharashtra was clearly not convinced by Syngenta’s arguments. In June 2018 it provisionally banned the sale of five pesticides, including diafenthiuron. 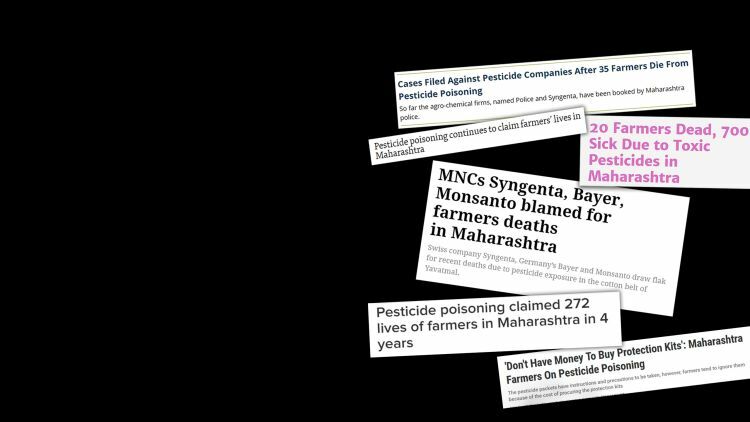 Moreover, Maharashtra’s Ministry of Agriculture requested the national government to ban the use of these five pesticides permanently. In August, the Indian government published a list of 12 pesticides that it plans to ban following an assessment conducted over many years. Yet diafenthiuron and other “best-seller” highly hazardous pesticides such as paraquat or monocrotophos are nowhere to be found on the list. This doesn’t surprise the well-known Indian agricultural expert, Keshav Kranthi, of the International Cotton Advisory Committee in Washington. 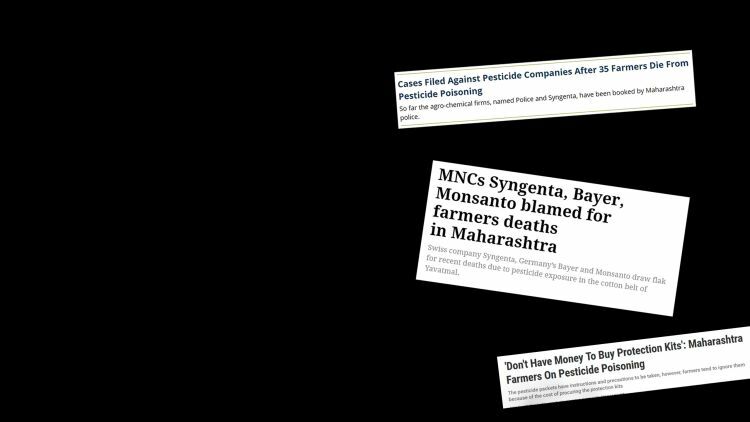 The pesticides lobby in India influences political decision-makers and government authorities “by manoeuvring facts that do not suit them”, he responds when questioned about the matter. That’s how the industry successfully protects itself against bans on highly dangerous but commercially successful pesticides. 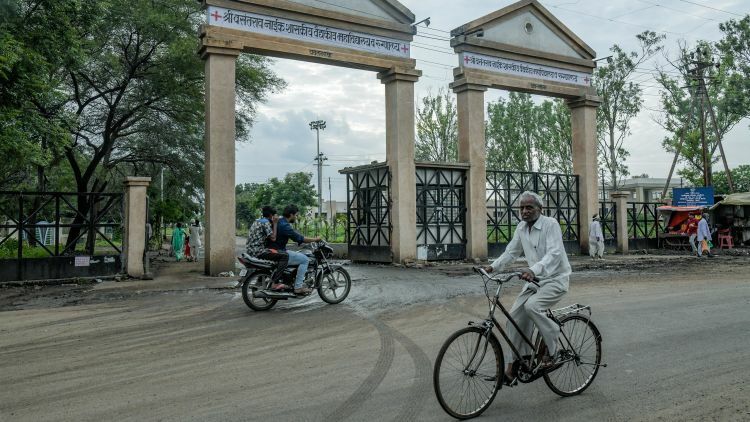 In theory, the place to go to find out which substances were responsible for last year’s wave of poisonings is the Government Medical College & Hospital in Yavatmal. It’s the only large hospital in the region and is where most of the victims of serious cases of poisoning were taken. Yet inquisitive visitors are not welcome; following the poisonings, the hospital came under fierce criticism from all sides. Why? It had lacked the required knowledge about the substances contained in the pesticides and the diagnostic tools needed to give patients the right treatment. As a result, all serious cases were treated with Atropine – the medication used to treat cases of poisoning by organophosphate pesticides. Indeed, many (if not all) patients had sprayed the highly toxic organophosphate monocrotophos. However, in most cases it had been mixed with other substances such as Polo, which is not an organophosphate. Most of the seriously ill victims were taken to the Government Medical College & Hospital in Yavatmal. Bandu Sonule, who died in this hospital, was an example of one such case. He had told both the hospital staff and his wife Geeta that he had applied the Syngenta pesticide Polo mixed with other substances that he could not name. There was no means of diagnosing what had poisoned him, so he was given Atropine. Yet in high doses Atropine can cause severe symptoms: agitation, hallucinations, delirium, cramp and coma. The question of whether toxic mixes of pesticides were the sole cause of the victims’ symptoms, or whether the treatment of all patients with Atropine had also had a negative impact on their health, is difficult to answer. Haribhau Kumbhekar was admitted to the hospital in Yavatmal a week after Sumesh Kanande had left. 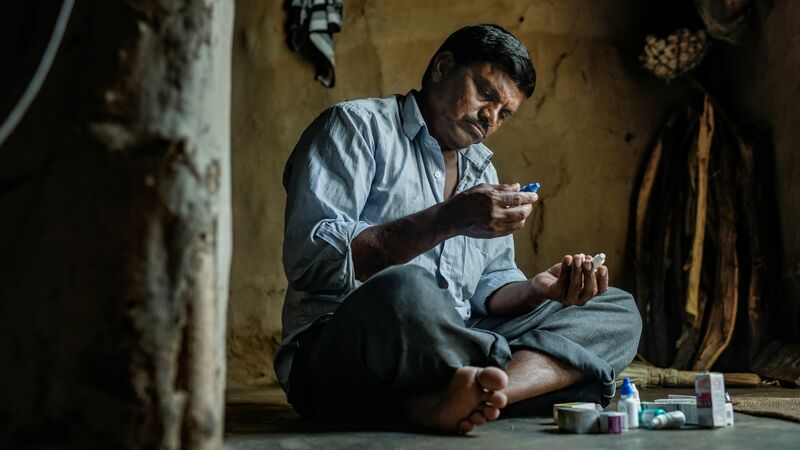 He had been spraying a mix of Polo and other pesticides for 12 days in a row, he told us when we visited him in the small village of Bhari where he lives with his family. The landowner had not told him what other pesticides were in the mix. On the 12th day he got diarrhoea and felt ill. The next morning his daughter took him to the hospital in Yavatmal in an auto rickshaw; at 3 p.m. he was taken into intensive care and at 4 p.m. he lost consciousness. When he woke up again, his limbs were twitching, and he tried to rip out his drip; his daughter called out to the relatives of other patients to help hold him down on the bed, and he remained tied down for 15 days. Today, Haribhau, who looks significantly older than his stated age – 53 – only has the energy for light work. Even speaking seems to tire him out. He repeatedly loses his train of thought when trying to remember or answer specific questions. When this happens, his daughter Annapurna intervenes. When her father loses his train of thought, Annapurna Kumbhekar (centre) intervenes. 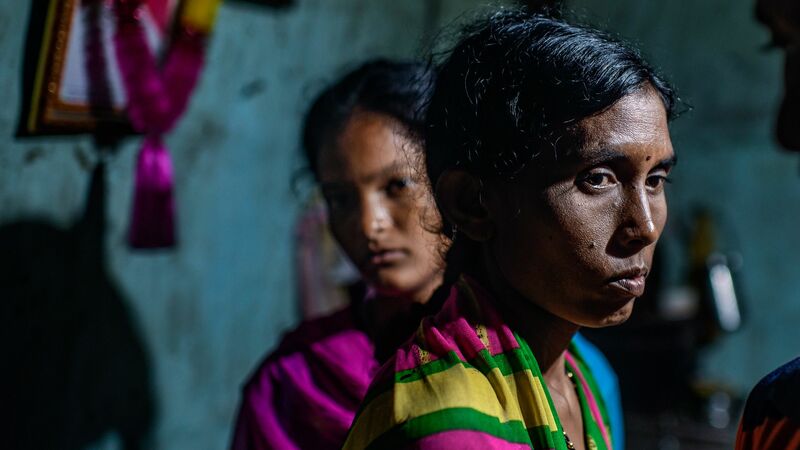 Annapurna, who is about 30 years old – she doesn’t know her exact date of birth – is an articulate woman afflicted by tragedy; four years ago she lost her husband. All she can tell us is that he had drunk alcohol and then a pesticide. Then a month ago she lost her five-year-old son; he had suddenly contracted a high fever and the treatment he received in the provincial hospital failed to save him. Then last October she lost her father – or, at least, the man that she had known up to then. Haribhau is still alive; he is sitting right next to her, leaning on the plastered wall and staring at the ceiling. “He’s not been the same since” says his daughter. “Before, he was fit and healthy. 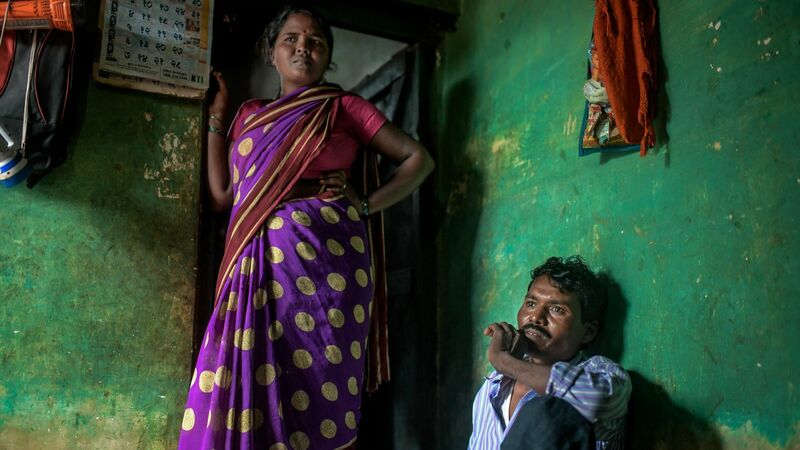 Now he’s weak and constantly tired, his eyesight has deteriorated and he’s often in pain.” Annapurna and her mother Vimalbai weed other people’s fields, but the income is not enough to make ends meet. The 5000 rupees (approx. 70 Swiss francs) of compensation that Haribhau and most other victims of poisoning received from the state is long gone. Bandu Sonule, Sumesh Kanande and Haribhau Kumbhekar had all sprayed the Syngenta pesticide Polo – but all in combination with different insecticides, fungicides and plant-growth regulators. It’s impossible to say which specific substance or combination of substances was responsible for poisoning them, or the extent to which each was responsible. However, out of the several dozen men who reported symptoms after using Polo there are other, more clear-cut, cases that shed light on whether the substance really is as harmless as Syngenta claims. One of these cases is that of Hiroman Soyam, a 40-year-old farmer and agricultural worker. In September, he also ended up in the hospital after spraying a cotton field. However, according to him, he had not sprayed a mix of different substances; he had filled his canister with a single pesticide – Polo – mixed with water. He recounted how it had been hot and very windy, and how the spray had blown into his face. When he woke up the following day, his cheeks, eyes and chest were swollen, he had a fever, diarrhoea, and could barely speak or see. In the hospital, he had to lie on the floor for three days with an infusion, until he was allocated a bed, which he was tied to after being treated with an intravenous fluid, probably Atropine. Archana on her husband Hiroman: “He ruined his life in the cotton fields”. Hiroman Soyam is not the only man who was admitted to hospital last year after applying Polo mixed with water. Another is the farmer Purushottam Khadse from the village of Inzala. He was poisoned less severely; after several days he could see normally again, and today he no longer suffers from any after effects. “But I’ll never use Polo again” he says. Purushottam Khadse was able to leave hospital after having been given a variety of eye-drops. He still has some left over though; he opens a small hatch in the hall of his house and pulls an unopened white sack out of a plastic bag. The word “Danger” is written on a blue warning triangle – blue means “poisonous”. There is a warning printed on the triangle: “Avoid inhalation and contact with eyes. Wear protective clothing, mask, goggles and boots while spraying. In case of any sign of poisoning, immediately consult the doctor.” And then: “No specific antidote is known. Apply symptomatic therapy.” Yet all of this information is written in English and Hindi. 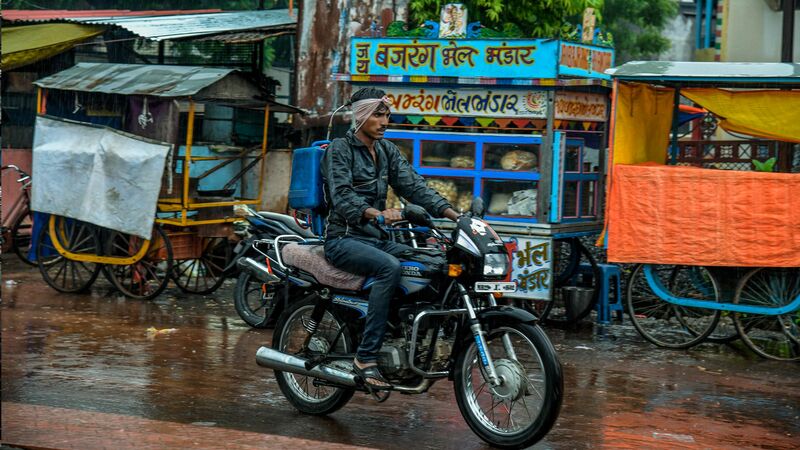 Not a single word is written in Marathi, the only language that most people here speak. “In case of symptoms of poisoning, consult a doctor immediately” is printed on the packaging of Polo from Syngenta. There is a small leaflet stuck to the package with the warning printed in small print in 12 different languages – including Marathi. But Purushottam Khadse never opened the leaflet. If he had, he would have found words printed so small that they can barely be deciphered by the naked eye. The government’s special investigation team also concluded that the writing in the information leaflet was “not legible” and therefore could not be “understood or followed”. That is a violation of the International Code on the Conduct of Pesticide Management of the UN’s Food and Agricultural Organization (FAO), which requires companies to use “clear and concise labelling” (Article 5.2.4.7). Syngenta is a member of Croplife, the international lobby organisation of agrochemical companies, for which full compliance with the FAO Code is a pre-requisite to membership – in theory at least. We wanted to see how this works in practice – so we hunted for the shop in Ghatanji where Purushottam Khadse bought his Polo. It’s in the next street. There are three Syngenta products stocked next to each other on a shelf: the fungicides Amistar Top and Tilt, as well as the insecticide Ampgligo, which has a yellow warning triangle printed on it stating that the product is “highly toxic”. Next to them are three statues of the goddess Lakshmi who embodies luck, beauty and – last but not least – prosperity. 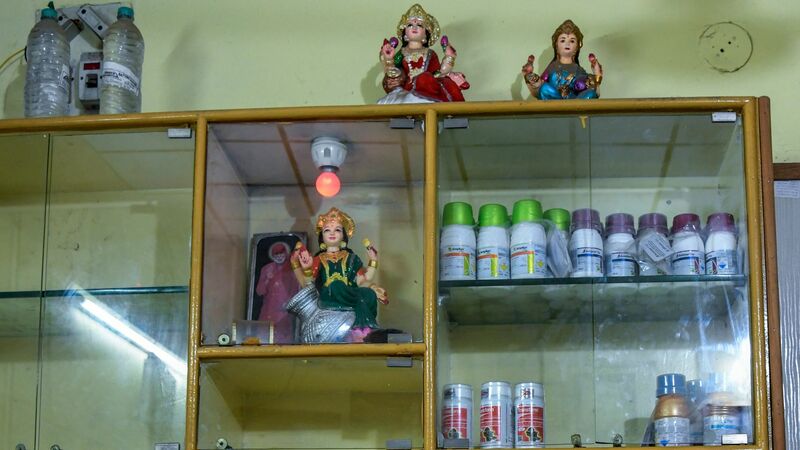 Syngenta pesticides next to the goddess Lakshmi. What happens when you buy one of these pesticides? The shop-owner tells us that he uses a felt-tip pen to write on the container the ratio for mixing the pesticide, and what plants to use it on. He tells us openly that if the infestation is serious, he recommends mixing together two pesticides, such as a fungicide and an insecticide, for efficiency. 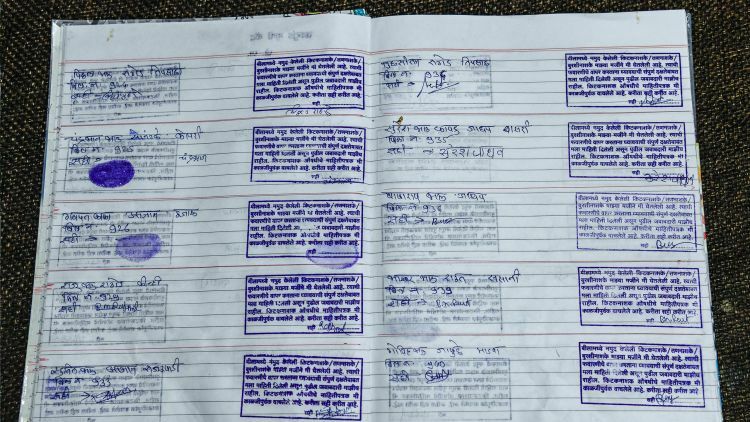 When they purchase a pesticide, farmers must sign a thick book under a stamp to confirm that they have been informed about the insecticide, herbicide or fungicide, and that they have bought it of their own free will, that they have been given the safety instructions, and that it’s their own full responsibility to use the product safely. Anyone who cannot read and write gives their consent by dipping their thumb in ink and stamping the page. Is this what Syngenta is referring to in the statement in its own guidelines, which requires it to ensure that its products are handled “appropriately and responsibly”? There is a Syngenta-issued “Certificate of Recognition” hanging on the shop wall: “In sincere gratitude for your achievement and contribution.” Informing farmers of the dangers of pesticides is clearly not a part of this service. 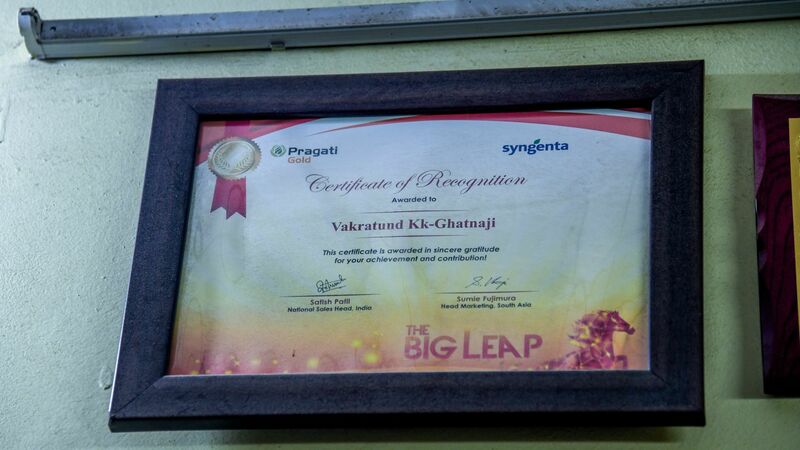 Hanging on the wall – a “Certificate of Recognition” provided by Syngenta. Neither is providing them with access to protective equipment. The FAO Code requires governments and industry to promote the use of “appropriate personal protective equipment”. 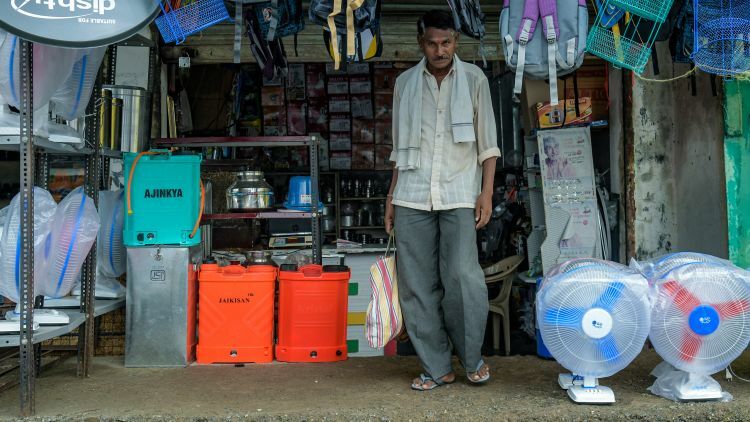 But the shop-owner, who buys his pesticide from an intermediary in Yavatmal, tells us that he doesn’t receive any protective equipment from the companies. This year, only the German company BASF provided one pair of blue plastic gloves with every bottle of one of its fungicides. In contrast, we didn’t see any protective equipment from Syngenta – in the shop or elsewhere – during the entire week we spent in the region. The only man we met who had protective equipment was Sumesh Kanande. 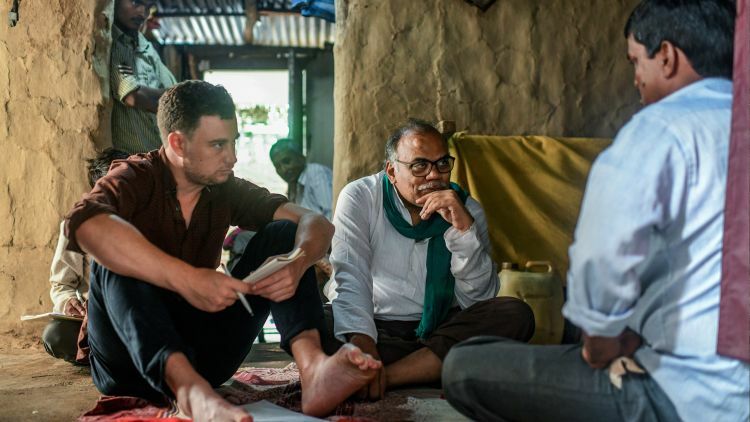 Last year, after he left the hospital, a government representative gave him protective equipment sponsored by one of the biggest agri-business companies in India. He showcases the equipment in front of his hut; if you weren’t aware of the tragedy, you’d almost laugh. Five-year-old Shravani laughs heartily: she’s never seen her father like this before – he looks like a penguin! He’s wearing a yellow apron made of cheap plastic, light blue disposable gloves like those worn by surgeons, a pair of plastic glasses, a yellow mask and a light blue netting cap like those worn by bakers. We try on the equipment, which shows us that you can barely breathe when wearing the mask; after just a few breaths the glasses steam up. He is supposed to wash the disposable gloves every evening (if they don’t rip on the first day); the same surely goes for the sweaty mask – if it survives, that is. The plastic apron will make him sweat even more, opening his pores for the pesticide to enter. On the other hand, his back, on which he often carries the leaky spray canister, remains unprotected. It’s like a very bad joke. Article 3.6 of the FAO Code is in fact unequivocal: pesticides whose handling and application require the use of personal protective equipment that is uncomfortable, expensive or not readily available should be avoided, especially in the case of small-scale users and farm workers in hot climates. This begs the question – if this isn’t one such case, what is? Not a single farmer or agricultural worker we speak to has ever been given protective equipment by a sales outlet. 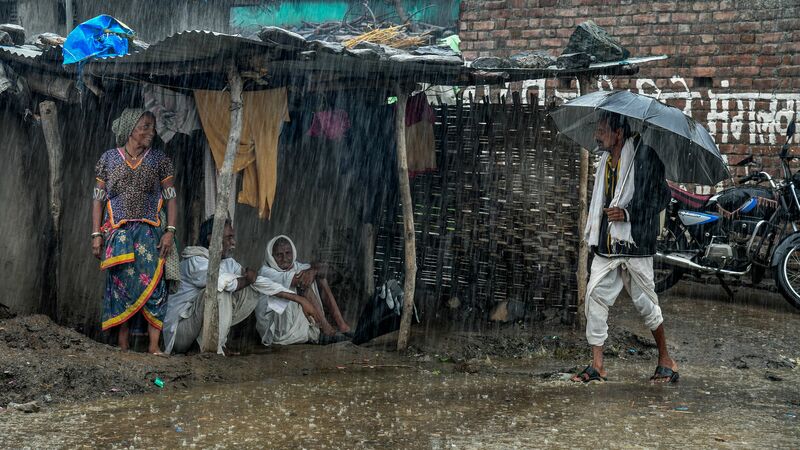 And none have bought protective clothing themselves, for reasons such as it’s “too expensive”, or they don’t know where to find it, or they would have to travel to Yavatmal at the cost of a day’s wages. Moreover, most simply can’t imagine wearing a mask in the 45-degree heat. They repeatedly say: “You can barely breathe in them”. None of them say that they’ve been given detailed information about the dangers of the products they purchase by a pesticide shop or company. None know exactly what they’re spraying. It appears that anyone who has not been seriously poisoned themselves has little awareness of the dangers of toxic pesticides. 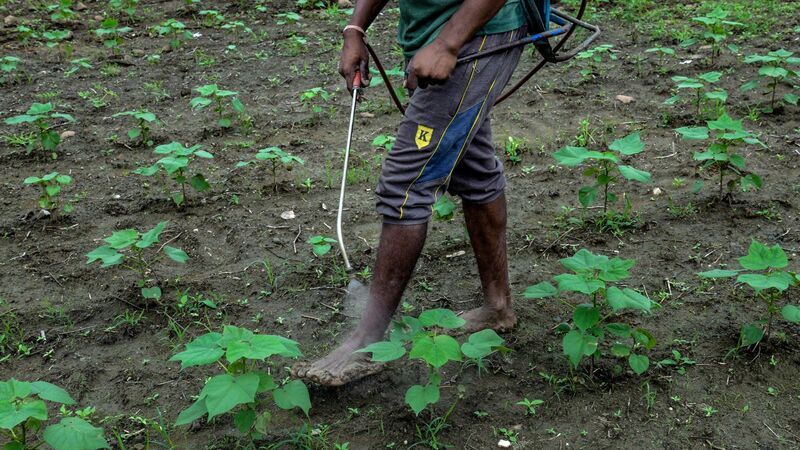 We approach a young man as he’s spraying pesticides in a field of young cotton plants; he’s wearing shorts and no shoes, and his feet are wet from the pesticide. The product he’s spraying is Confidor, an insecticide from Bayer – its level of toxicity is yellow (highly toxic). The young man, Akash, tells us that he always sprays the pesticide barefoot but has not yet experienced any negative symptoms. If he wore shoes, they would get stuck in the moist ground with every step he took and would soon become very heavy. “That simply wouldn’t work”, he tells us. Once the pesticides have been used, the containers they were sold in are recycled for other purposes. They’re often used for transporting drinking or washing water. 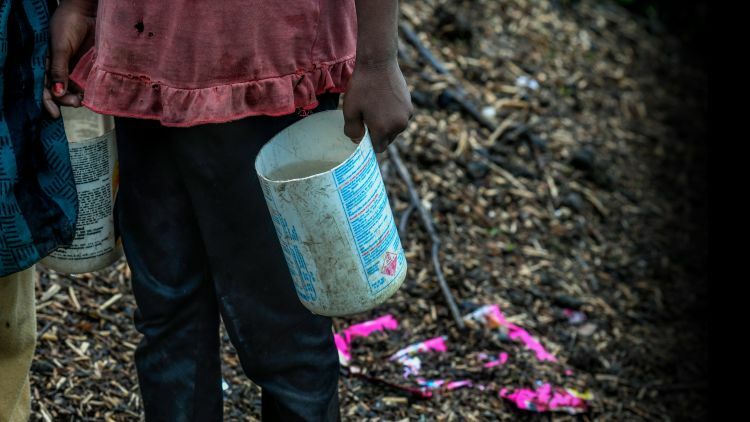 We see children using pesticide containers with red warning triangles to wash themselves in the open air. 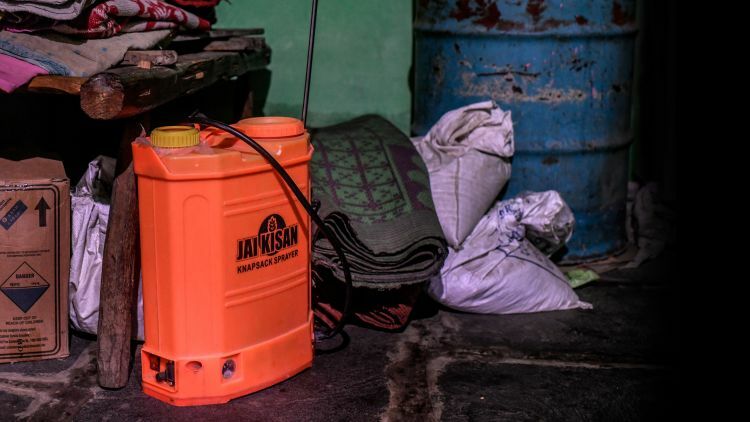 We see containers used for toxic pesticides hanging on latrine doorways and in kitchens. They’re everywhere. It’s clear to see that anyone claiming that highly toxic pesticides can be used safely in these circumstances is deluded. “There is no safe way of use. 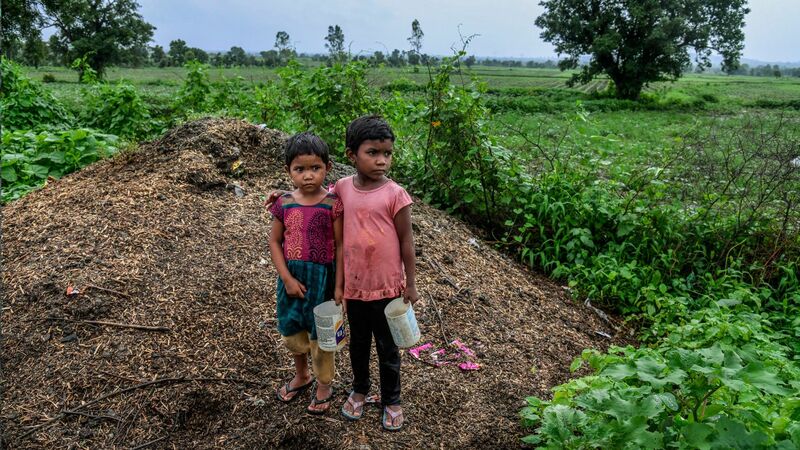 They are toxic.” says Dr Narasimha Reddy, the director of Pesticides Action Network India that published a detailed report about the “Untold Realities” of the pesticide poisonings after having conducted a fact-finding mission in the region. The companies that produce these substances should be held to account for the cases of poisoning that have arisen when they are used, as well as the environmental damage they cause. 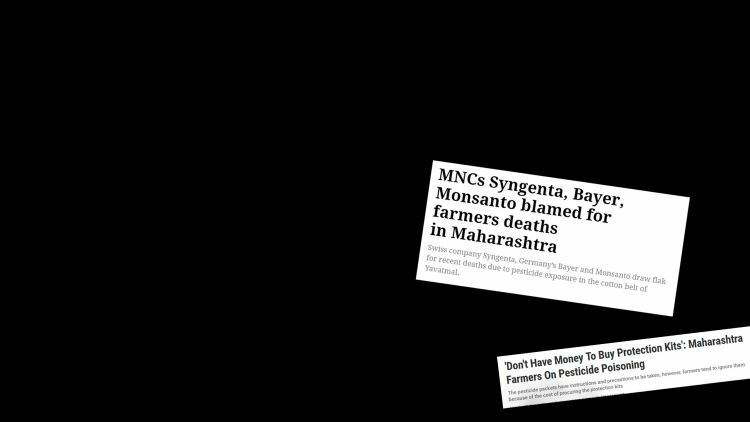 Video: Dr Narasimha Reddy, Director of the Indian section of the Pesticide Action Network, on the situation of farmers and farm workers in Vidarbha, and the responsibility of agrochemical giants like Syngenta. 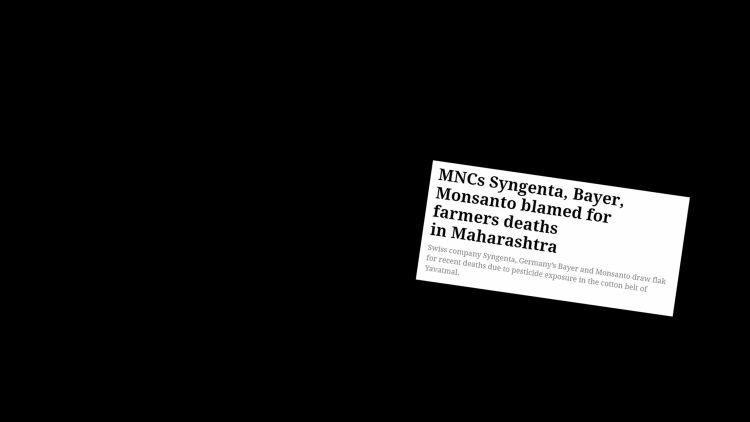 Syngenta did not answer Public Eye’s questions regarding the Yavatmal scandal. 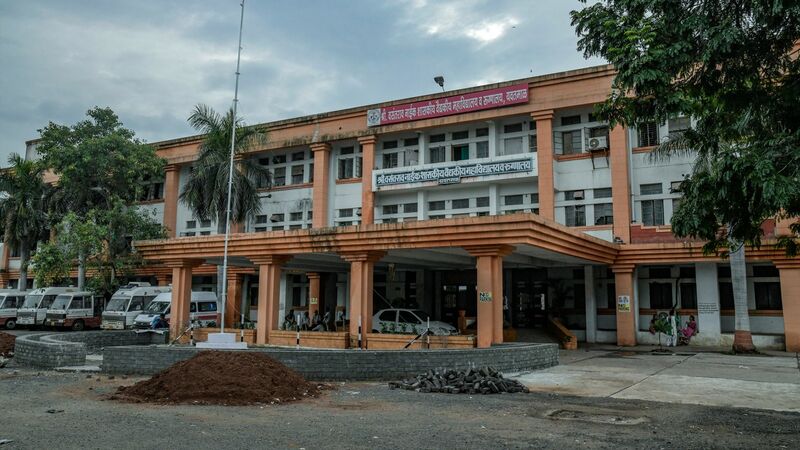 In August 2018, the Times of India reported 84 new cases of pesticide poisoning that had to be treated at the Yavatmal hospital. In neighbouring Akola, a farmer died from poisoning. And the intensive spraying season has not event started yet. In the field of medicine there is no known antidote for cases of poisoning by the pesticide diafenthiuron. However, in the political sphere there are two instruments that would help prevent further cases of poisoning by the highly toxic Syngenta pesticides currently available. Last December, National Councillor for Geneva Lisa Mazzone filed a motion to parliament after Public Eye unveiled that pesticides banned in Switzerland were being exported from the country. Mazzone called on the government “to prohibit the export of pesticides whose use has been banned in Switzerland due to their effects on human health or the environment.” Yet in its response, the Federal Council was only prepared to amend the regulation to require the express consent of the importing country for the export of hazardous pesticides banned in Switzerland. It considered a ban on exports to be “disproportionate” because human health and the environment could be protected by other measures that infringe less on economic freedoms. It did not, however, indicate what such measures could be. Lisa Mazzone’s motion is due to be addressed by the Federal Council in the Winter session or next year. Given that it was signed by 41 parliamentarians of all political persuasions, there is a good chance that it will win a majority. There is a second effective measure to counter cases of poisoning by toxic pesticides on the horizon in Switzerland: the Responsible Business Initiative. This initiative would require companies headquartered in Switzerland to perform due diligence in relation to compliance with internationally recognised human rights and environmental standards. Were the initiative to be adopted, in the future Syngenta would have to perform comprehensive assessments of all risks associated with the use of its pesticides, and the company would be required to take effective prevention and mitigation measures. 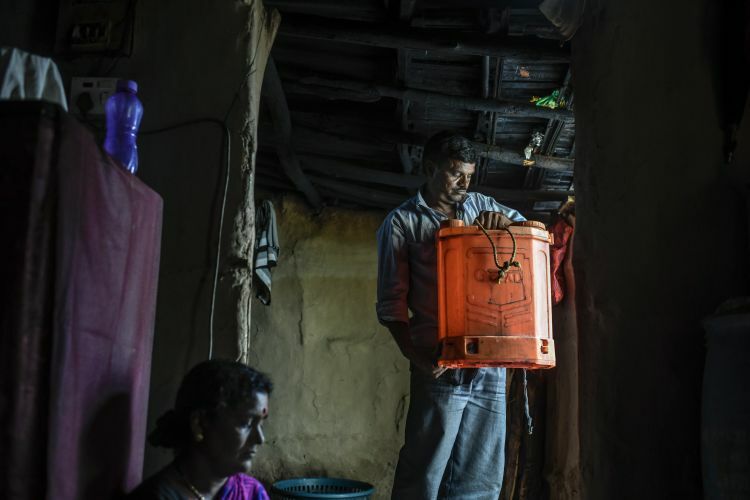 A serious risk assessment into a highly hazardous pesticide like Polo, in a context such as that of Yavatmal, could only come to one conclusion: it would be delusional to think that pesticides can be used safely under these circumstances. Consequently, the sale of the product must be discontinued. Public Eye&apos;s mission is to shine a light on areas some would prefer to remain obscured in the shadows, to denounce harms suffered by the underprivileged and to propose concrete solutions for these issues. Support us at Public Eye by making a donation! Would you like to learn more about our work? Order a free trial of three issues of our magazine in german or french or sign up to our newsletter (german or french) to stay informed.